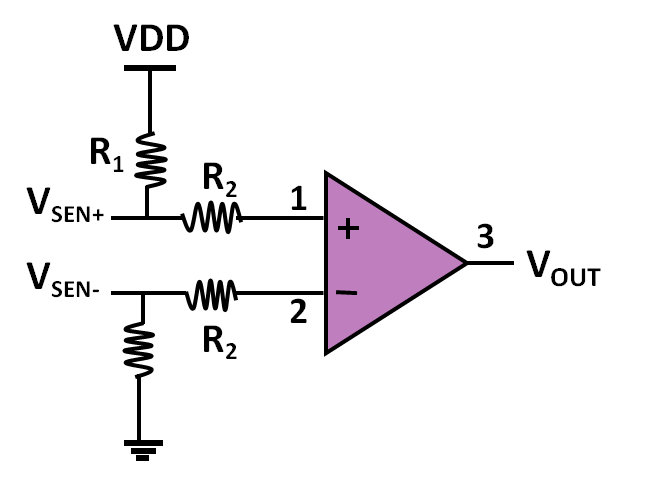 The circuit below shows an instrumentation amplifier that conditions a remote voltage sensor. The input resistors provide isolation and detection of the sensor open-circuit failure. It amplifies the input difference voltage (VSEN+ - VSEN-) and rejects common mode noise.